Here at One Stop Equine Shop we investigate which Slow Twist Full Cheek Eggbutt Bits are the best before adding them to our Online Horse Tack Store. We strive to offer only top quality items at low wholesale prices. 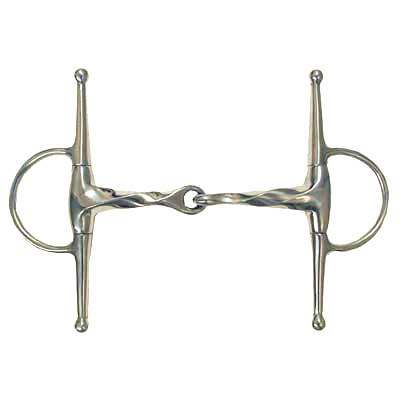 Horse Tack Now has a nice selection of Eggbutt Bits at the price and quality you want. This product was engineered to last for many years. and gives Lateral Control. 1 1/2'' rings.16mm mouth. 6 1/2'' Cheeks.